Your decision to consider plastic surgery to enhance your appearance is an important step, perhaps the fulfillment of your personal dream. This is why it’s very important to turn to a plastic surgeon who has the respected medical credentials you can trust. Dr. Peter Newen completed his education and clinical training at some of the most prestigious institutions in the United States. Dr. Newen has always been one to aim for higher achievements than most. He graduated as high school class valedictorian at the age of 14, and by the time he completed his medical residency, he was recognized as being the youngest plastic surgeon in the United States at the time. 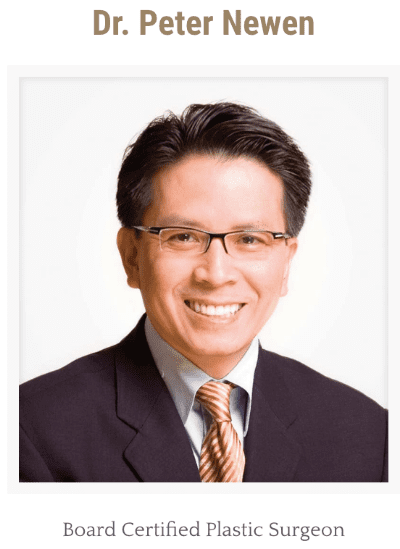 Dr. Newen earned his medical degree at the University of Chicago Pritzker School of Medicine, and went on to complete residency training in both General Surgery and Plastic Surgery at Brown University/Rhode Island Hospital in Providence Rhode Island. He went on to complete specialty fellowship training in Craniofacial Plastic Surgery at Children’s Hospital of Los Angeles. 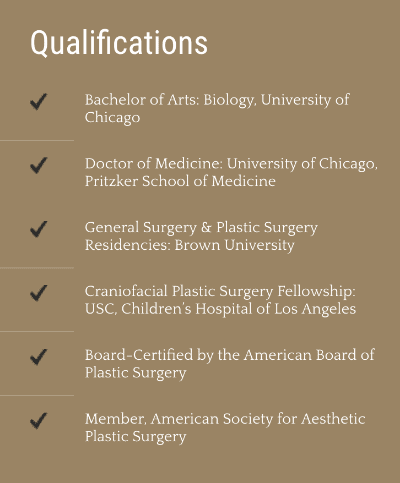 Dr. Newen is board-certified by the American Board of Plastic Surgery and has close to two decades of experience and thousands of procedures to his credit.